Convened by Clea Bourne, the Heretical Finance Reading Group meets monthly to discuss texts providing alternative, multi-disciplinary, non-disciplinary, cultural and critical perspectives on finance, including fictional representations. Open to all – academics, non-academics, students – and no registration is required. Meetings take place at 4.30pm on Mondays (the first Monday of the month) in the basement seminar room at PERC, 41 Lewisham Way, opposite the main Goldsmiths building (how to find Goldsmiths). 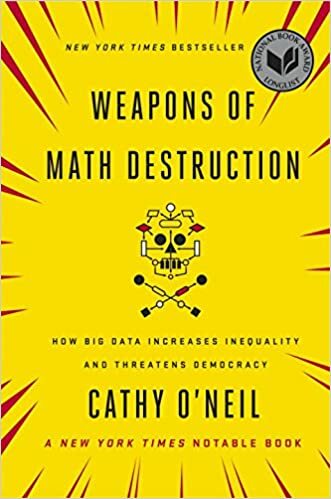 Cathy O’Neil (2018) Weapons of Math Destruction: How Big Data Increases Inequality and Threatens Democracy. Penguin Books. As mathematics is asserted into human affairs as never before, mathematician, Cathy O’Neil, examines how the use of big data and algorithms can lead to decisions which harm the poor, reinforce racism, and amplify inequality. Her book explores the data economy in a variety of fields, including insurance, advertising, education, and policing. O’Neil shows how math-powered applications shaping the data economy are based on choices by fallible humans. 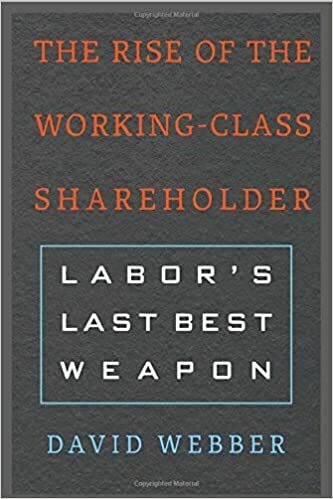 David Webber (2018) The Rise of the Working Class Shareholder, Harvard University Press. Webber shines a light on US labour’s most potent remaining weapon: its multitrillion-dollar pension funds. Outmanoeuvred at the bargaining table and under constant assault from seats of power, worker organisations now exercise muscle through markets. Shareholder activism has been used to divest from anti-labour companies, gun makers and tobacco; diversify boards, challenge CEO pay, create jobs, and force global warming onto corporate agendas. 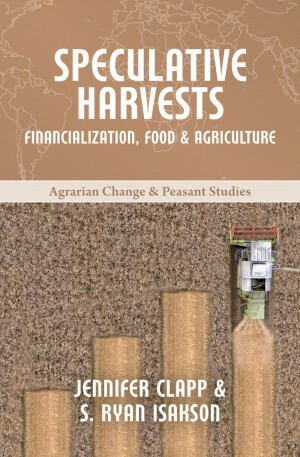 Jennifer Clapp and S. Ryan Isakson (2018) Speculative Harvests: Financialization, Food, and Agriculture, Practical Action Publishing. Clapp and Isakson investigate the evolving relationship between the agrifood and financial sectors, exploring how financialisation is reshaping agrarian development and food systems. They explore the ramifications for the world food economy, detailing how different elements of agrifood provisioning – commodity trading, farmland tenure, agricultural risk management, food processing and retailing – have been reconfigured for financial purposes. 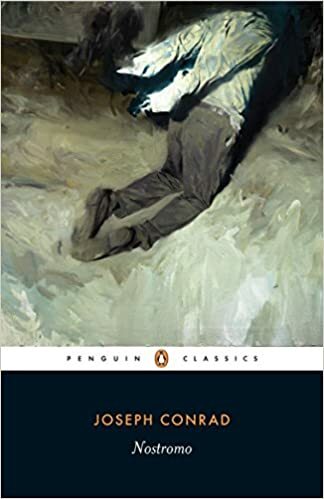 Joseph Conrad (1904/1984) Nostromo, Penguin Classics. One of the greatest political novels in any language, Nostromo enacts the establishment of modern capitalism in a remote South American province locked between the Andes and the Pacific. In the harbourtown of Sulaco, a vivid cast of characters is caught up in a civil war to decide whether its fabulously wealthy silver mine, funded by American money but owned by a third-generation English immigrant, can be preserved from the hands of venal politicians. 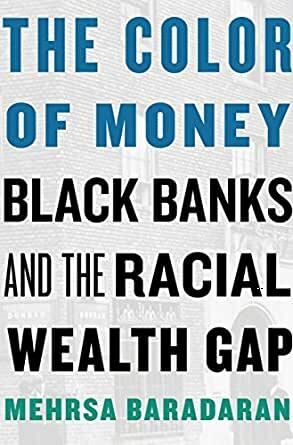 Mehrsa Baradaran (2017) The Color of Money: Black Banks and the Racial Wealth Gap, Harvard University Press. When Emancipation was proclaimed in the USA in 1863, the black community owned less than one percent of the nation’s total wealth. More than 150 years later, that number has barely budged. The Color of Money pursues the persistence of this racial wealth gap, focusing on the generators of wealth in the black community: black banks. Baradaran challenges the myth that black communities could ever accumulate wealth in a segregated economy. Alex Preda (2017) Noise: Living and Trading in Electronic Finance, University of Chicago Press. Finance can seem a glamorous world, where investment bankers amass huge profits in gleaming downtown skyscrapers. But there’s another side to finance – the millions of amateurs who log on to computers each day to make their own trades. Yet less than 2% of these amateur traders make a consistent profit. Why, then, do they do it? In Noise, Preda explores the world of the people who trade — even when, by all measures, they would be better off not trading. Terry Pratchett (2007) Making Money, Doubleday. Former con-man, Moist von Lipwig, is coerced into taking charge of Ankh-Morpork’s Royal Mint, and the bank next door. Once there, he finds that people don’t trust banks much, using stamps as currency instead of coins. The production of money runs slowly and at a loss. Moist’s various ambitious changes include making money that isn’t backed by gold but by the city itself. The chief cashier and main shareholders aren’t happy though — and try to dispose of him.